As the name suggest “groundcover is a black woven polypropylene fabric used over the ground for weed control. it is used in agriculture and horticulture industries. Covermax is the easiest way to keep weeds out of your way and nice looking weed free flower or plants. The fabric is made from latest Sulzer looms having wide width capabilities. 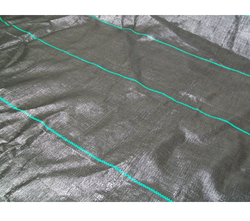 Fabric is treated with UV stabilizers to give longer life. It also reduces soil erosion. It is water permeable and mildew resistant. It is resistant to many chemicals. Agriplast weed mat/Ground Cover is a durable product and ideally suited for nurseries and greenhouses so as to prevent weed growth, these allow water penetration and can be used as weed mats. 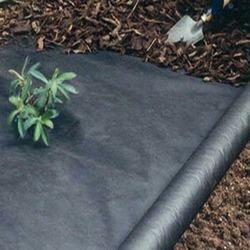 As The Name Suggest "Groundcover" Is A Black Woven Polypropylene Fabric Used Under The Ground For Weed Control. It Is Highly Used In Agriculture And Horticulture Industry. We offer PP Woven Ground Covers which provides a perfect solution for controlling weed growth. It prevents the weeds to grow and yet let water and nutrients pass through. Our fabric is UV stabilized and lasts even in direct sunlight. Our product usually has marker lines every 12". These lines can be at more or less intervals, per individual requirement for proper plant alignment.